At Enhance Conservatories, we bring you competitive conservatory prices in Newcastle so that you can extend your home in style without exceeding your budget. We also offer a wide variety of conservatory styles and designs so your new room looks like a part of your property. Our affordable conservatory costs include exceptional features, giving you conservatories that perform as beautifully as their looks. These extensions are designed for fantastic thermal insulation and weather protection. They can be customised to give you as much light, ventilation, and even heat protection as you need. The customisation is not limited to the performance either! We offer a variety of looks for your conservatories. You can opt for uPVC, glass, or solid extensions. When checking out our conservatory quotes, you can also take a look at our conservatory roof options. 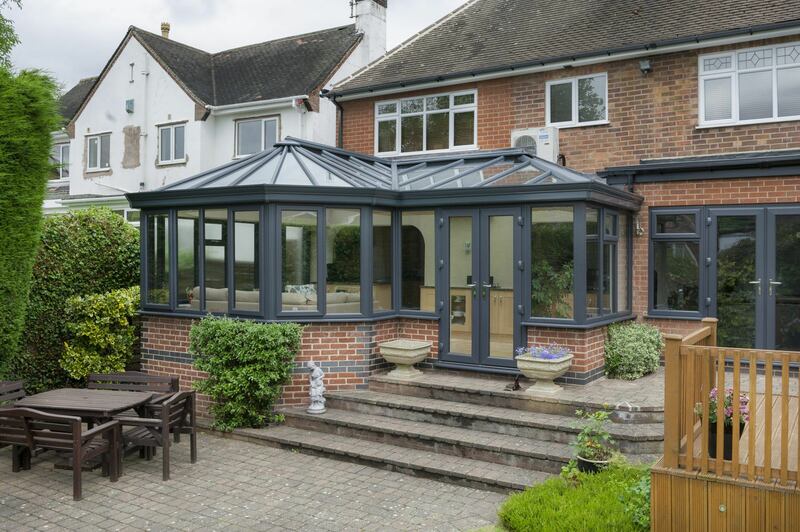 With the choice of glazed, solid, or tiled roofs, you can make your conservatory look exactly the way you want it. If you’re looking for an extension style that will match your property’s architecture, we offer a comprehensive selection at affordable conservatory costs in Newcastle. Our selection of conservatory styles covers every look and every need. The lean-to is the style you want if you want a non-fussy design with the lowest conservatory price. The simple rectangular shape of this conservatory is topped with a single-sloped roof that ‘leans’ against the wall of your property. An extension that brings to mind the Mediterranean aesthetic, this is a classic style that will suit every home. It is particularly suited to houses with low-hanging eaves or a non-standard shape as the lean-to conservatory will fit almost anywhere. The Victorian conservatory is a distinctive design. It is made up of what would have been a square-shaped room but with one side replaced with a large bay window. The 3 or 5-faceted window gives the room a round shape on that end. As a result, you get a uniquely shaped room with a cosy nook on one end. The Victorian conservatory prices in Newcastle can vary if you opt for a fully-glazed wall instead of a dwarf wall with glazed panels over it. Either way, you get a gorgeous room that adds to the overall look of your Newcastle property. 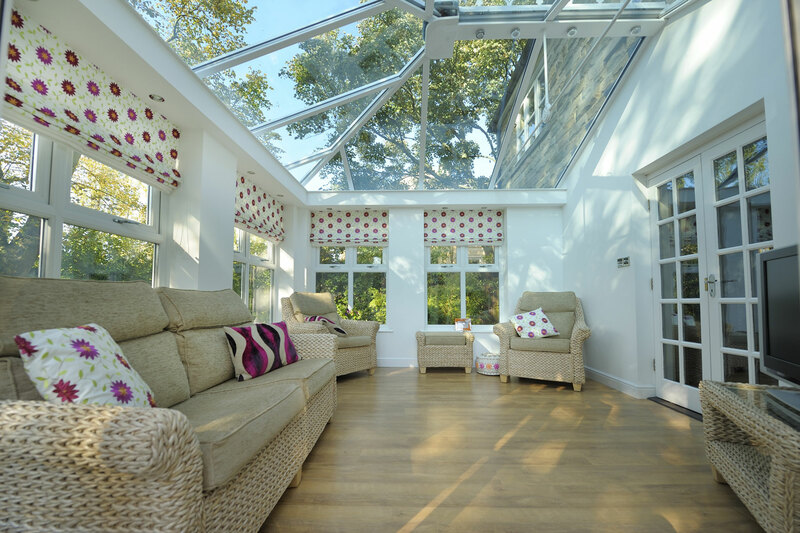 An Edwardian conservatory is the perfect blend of practical floor space with a stylish roof. 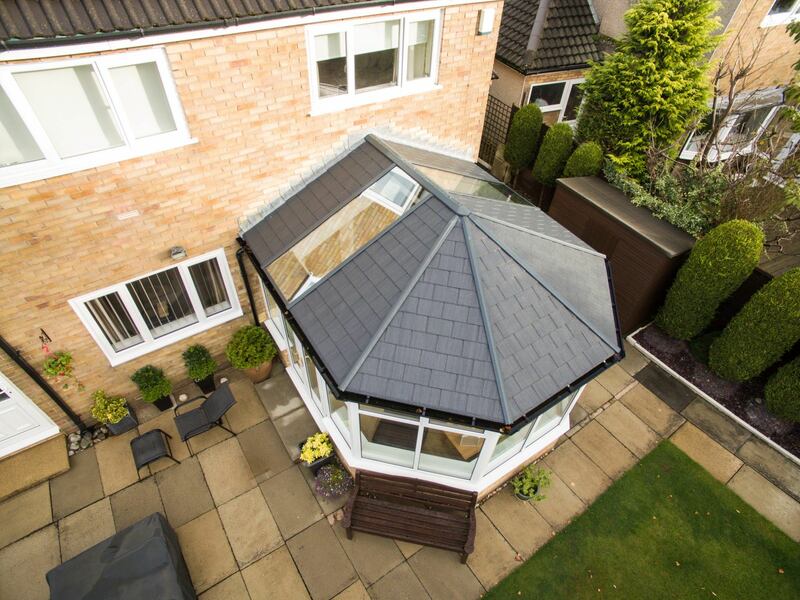 This square conservatory is topped with a double-sloped, double-hipped roof. As a result, you can enjoy an easy-to-furnish space that looks gorgeous when viewed from the outside. Your Edwardian conservatory quote might be affected by your choice of roof style. A solid or tiled roof may be higher priced than a glass roof, and a higher pitched roof will be differently-priced than a lower pitched one. If you decide to put a roof lantern on the roof, its price will be added to the conservatory price. The Gable conservatory may give you the same room size as an Edwardian extension, but its roof makes it seem bigger and grander. Unlike the Edwardian roof, which slopes down at the front, the Gable roof slopes down the sides. This makes it look taller and more dramatic when viewed from the front. The Gable conservatory prices in Newcastle are quite moderate for the spectacular feature you get for your home. You can even style the front with a stunning sunburst pattern to make your conservatory even more eye-catching. With a glass-to-floor conservatory, you get a room that is bright and naturally illuminated. Unlike the popular design with dwarf walls, a glass to floor conservatory has glazed panels that come down to the floor. This means you get more sunlight and better views of your outdoors. The glass-to-floor conservatory price is also affected by your choice of roof, as well as the doors and windows you choose. For example, a solid roof will make it seem less like a greenhouse but will come with a higher conservatory cost. Newcastle homes can use this conservatory style with a wide bi-fold door along one wall, but the price for this door is higher than a French door or a sliding patio door. 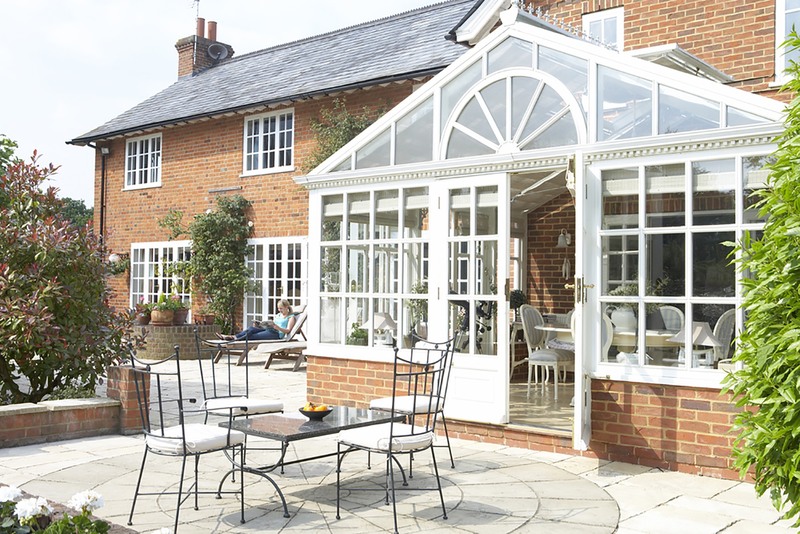 In some cases, any of the traditional conservatory styles might not be suitable for your home. If that is a problem you face, we also offer bespoke extensions. You can opt for P-shaped or T-shaped conservatories, but we are also happy to help you design one that looks and functions exactly according to your needs. The bespoke conservatory prices in Newcastle will obviously depend on the size and shape you require. Your choice of double glazing and roof will also play a part. 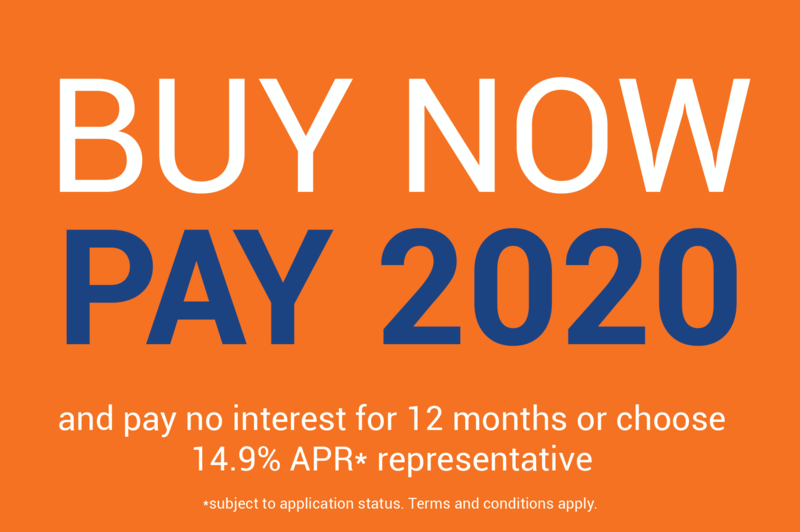 However, in the end, you will get an extension that is tailored to your home and needs as well as your budget. If you are looking for a quick estimate of your conservatory prices in Newcastle, try out our online conservatory price calculator. This tool prompts you for your extension specifications so we can provide you with conservatory prices tailored to you. You can also contact us to discuss your needs. Send us your query by filling up our contact form and we will get back to you. Someone from our team will give you the information you need as well as your conservatory quote in Newcastle.